MG made its name worldwide with its range of practical and affordable two-seater sportscars so it’s somewhat frustrating for an MG enthusiast like myself to see the marque’s new Chinese owners developing a line of products that are taking it away from its heritage and firmly into the mass market family-friendly sector of the industry. Having ditched the sporting MG6 saloon and hatchback in favour of the versatile and economical but frankly lacklustre MG3 we next had the GS land on these shores last year – a medium sized SUV look-alike, the main attraction of which has been its small price tag and big accommodation. Now we await the arrival at the end of the year of the Chinese-built XS, a compact SUV that is bang on trend at the moment as seemingly all manufacturers abandon their saloons, hatchbacks and MPVs for rugged high-rise, style conscious, family sized conveyances. 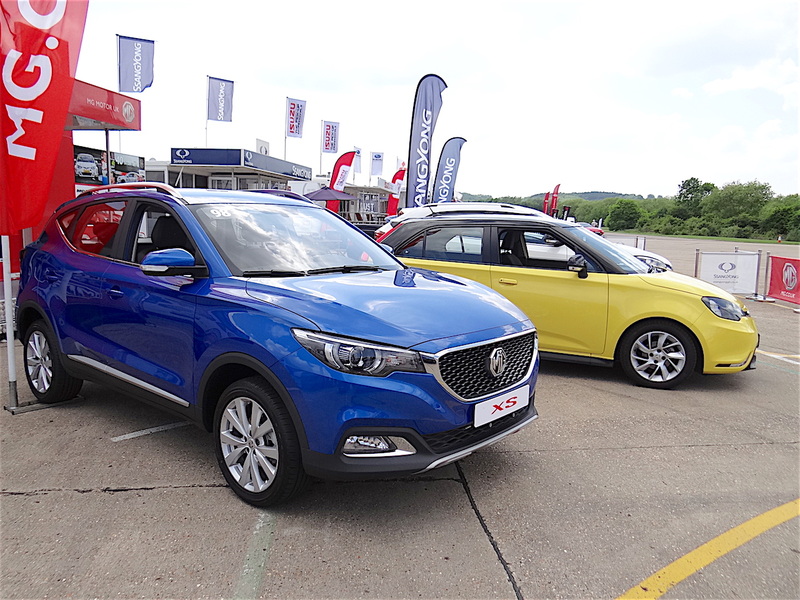 Although not due in dealerships until the last quarter of the year, MG has been showing the motoring press a left-hand drive example imported from China. Frustratingly, all the PR people have been allowed to say is that XS will be competitively priced and will come with the choice of two engine derivatives and either automatic or manual transmission – the latter likely to be straight lifts from the GS. In the case of this show model it was installed with a five-speed manual, which would seem logical with a smaller engine in the mix. Details on these engines (expect them both to be petrol units and shared with the GM brand) are not being released yet. 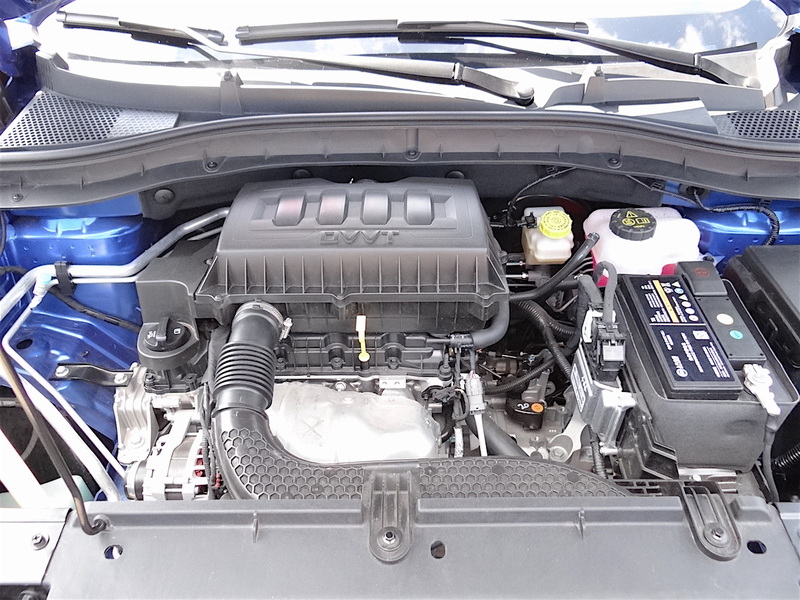 Looking under the bonnet didn’t give that much away, but I have heard rumours of a turbocharged one-litre three-cylinder offering 120 bhp being in the running, and the show model is badged as NetBlue so perhaps this is a nod to perceived efficiency. The main stay is likely to be the 118 bhp 1.5 litre petrol already in the MG3, with an outside chance of it being the more powerful 164 bhp 1.5 from the GS. However, a clue may be in a comment from one MG official that the XS has been created with comfort in mind while the GS is designed for performance. 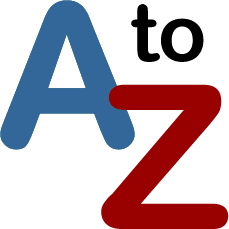 You could translate this as not to expect much in the way of speed from the XS but more in the way of economy – another aspect squarely targeting budget-conscious families. 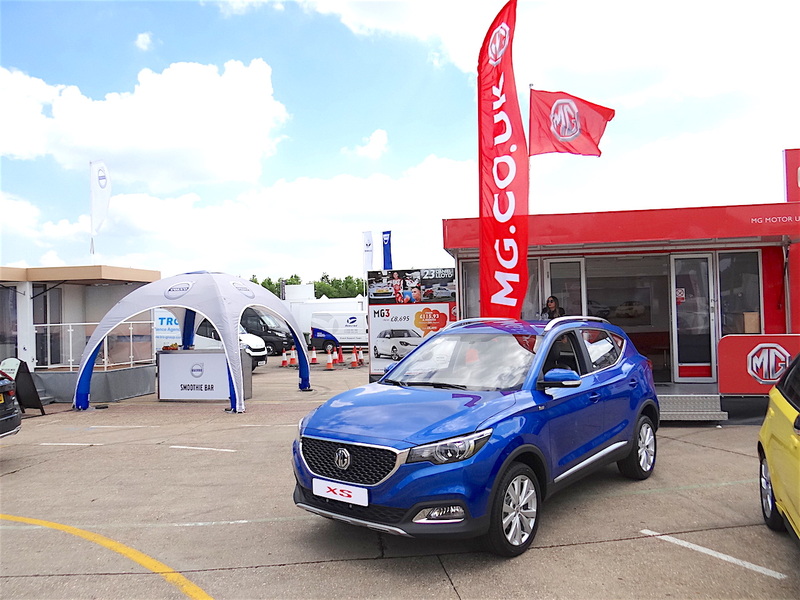 For the future, MG is promising a hybrid and an electric XS within 18 months to two years – exciting times ahead then for MG.
From the interior equipment it is clear that the XS will be well specified including top end audio and communications as well as climate control and driver aids. 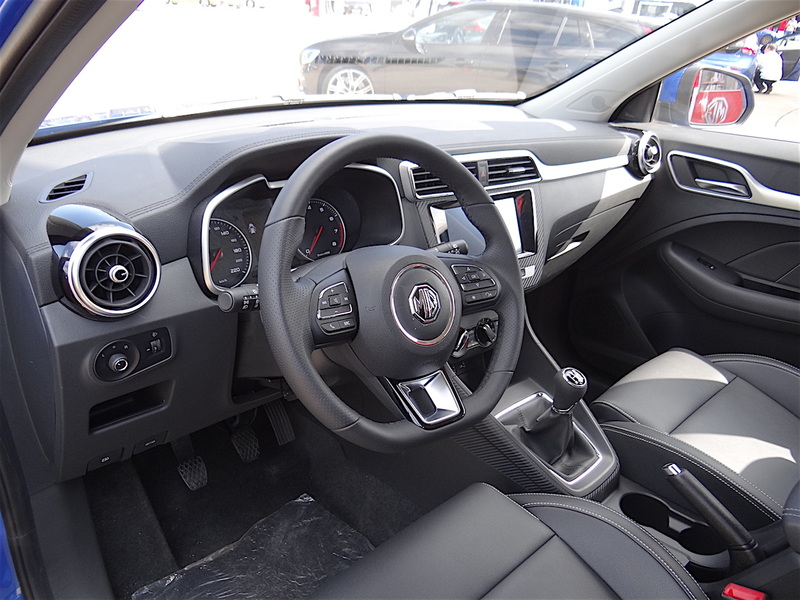 Electric sunroofs, reversing camera, keyless start and cruise control are all slated for the top grade of the three trim levels. We can probably expect the XS that eventually arrives to be heavily weighted with European preferences, which means leather should be in the mix along with lots of chrome trim. Going from what we don’t know to what we do, the XS appears, at first glance, to be right up there with the current market leaders in terms of styling and fit and finish. In the metal, the big surprise is that the XS isn’t a lot smaller than the GS so you wonder if MG might be trying to take two bites out of the same apple. Good news is that from most angles the XS is better looking than the GS, especially at the front where the current pinched corporate face with slim grille and teardrop lighting (MG6 through to GS) makes way for a much bolder and more dynamic appearance dominated by a large mesh grille and prominent MG octagon – features seen on the Icon concept car. Word is that this will be the new face of MG for future generation models. Sitting slightly lower on the road in profile (making it easier to enter and exit than the GS with its cumbersome side sills) the XS is more streamlined and the wrap-around rear looks compact and elegant. It is finished off with a large flip lever MG badge that operates the rear hatch – a neat trick borrowed from other manufacturers. This opens up one of the best functional features of the XS – a two level boot floor. In its upper position it provides a level load space through to the 60/40 folding rear seats that go almost completely flat. 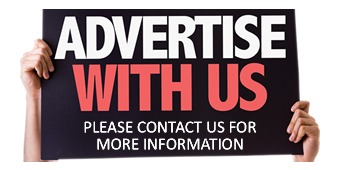 In this location there is a generous sized and wide entry boot with an extensive load space. 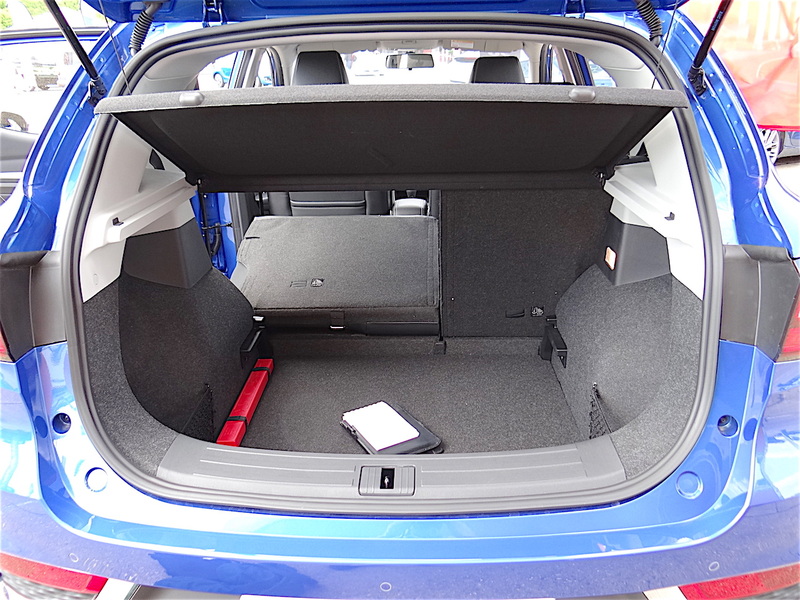 Alternatively the floor board can be dropped by another four inches (100 mm or so) to a lower level just above the spare wheel to increase the total cargo area to a more than average capacity (actual number of litres not yet revealed). This boot flexibility gives it slightly more versatility than the GS. Retaining a large luggage compartment and generous front seat accommodation hasn’t meant losing space for rear-seat occupants who still get plenty of leg and shoulder room – this is full adult territory. Recent MGs haven’t exactly been praised for their choice of quality cabin materials (keeping costs down is partly to blame) but the mix of fabrics, leathers and grained plastics on the demonstration XS wouldn’t look out of place in most other brands. The commanding driving position and strong multi-function steering wheel along with a large eight-inch central display screen, bold analogue instrumentation and stubby switchgear promises a rewarding environment for the driver. 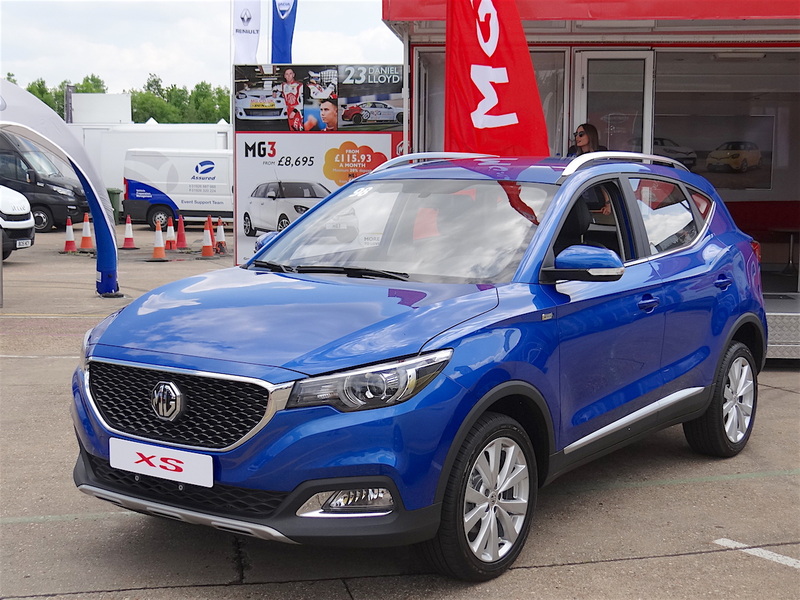 The driving experience (hopefully to come in late autumn) will establish if the XS can achieve MG’s hopes of accounting for half of its UK sales in 2018. The other essential ingredient will be price. With the target market being the occupied by the likes of the Nissan Juke and Mazda CX-3, the XS will have to match them for specification but be priced closer to the bargain basement Dacia Duster and SsangYong Tivoli to have any impact, so that means getting close to, if not undercutting, £13,000. 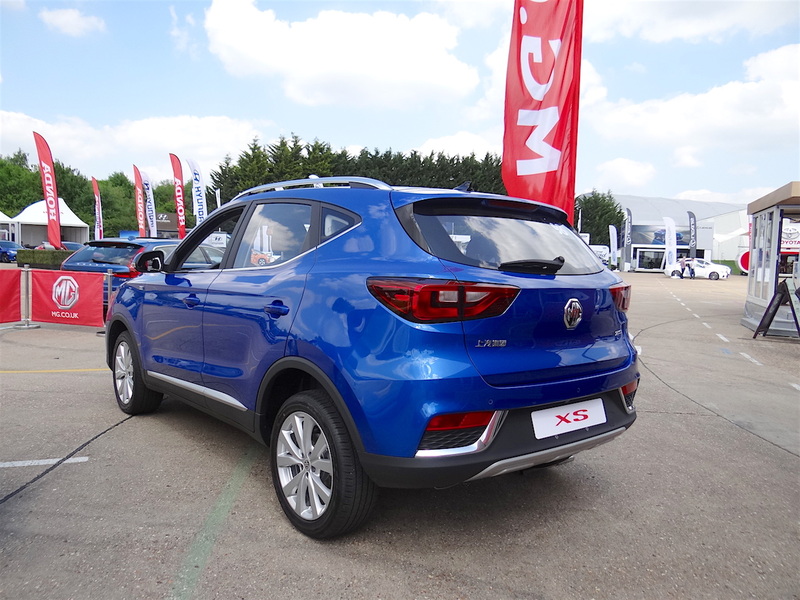 If MG can achieve this price and deliver on enthusiastic driving then it could well be a sales winner.